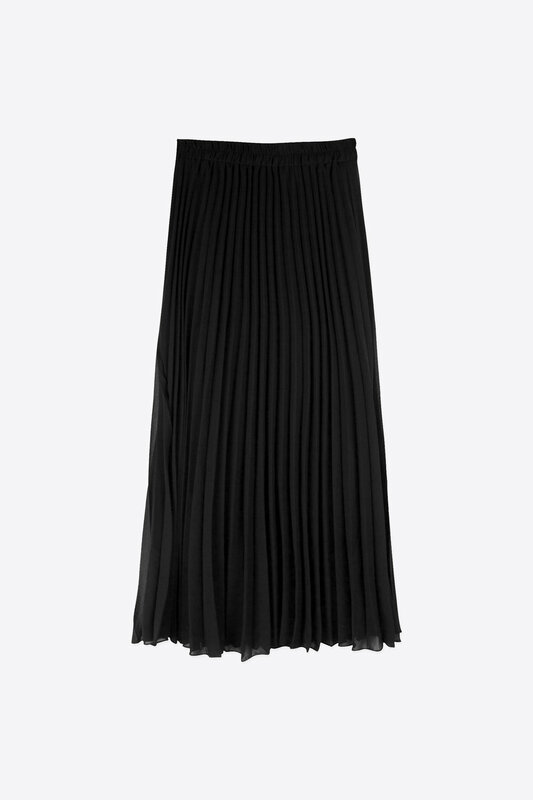 This classic pleated midi-skirt is essential for spring and summer. 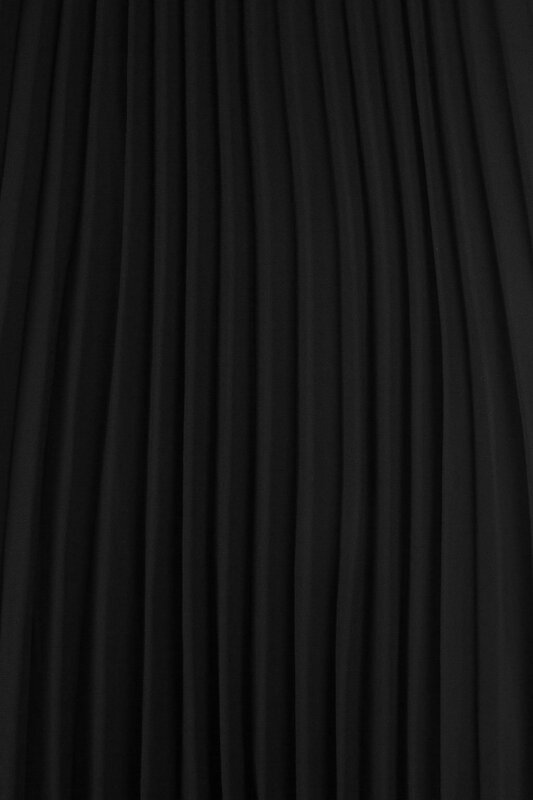 Made from a slightly sheer airy fabric, the elastic waistband offers added comfort while creating an elegant look. Pair it with a simple t-shirt or a blouse for a day or night out. Fabric Content: 100% Polyester Care Instructions: Machine wash cold, tumble dry low, or lay flat to dry. Cool iron.